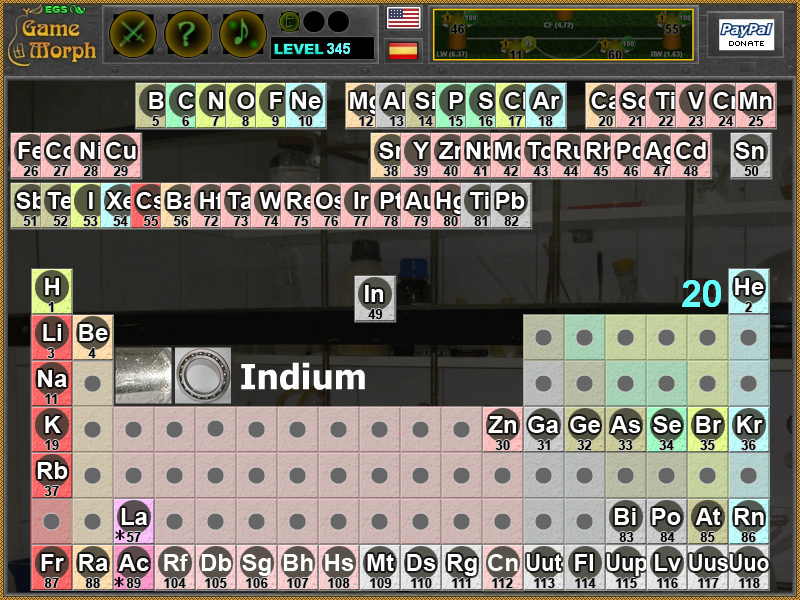 Interactive online table of the chemical elements. Select the correct name of the chemical compound. Online test for the Alkali and Alkaline Earth metals. Insert the right combination for metalloid elements. Unlock the ancient vault with nonmetal elements. 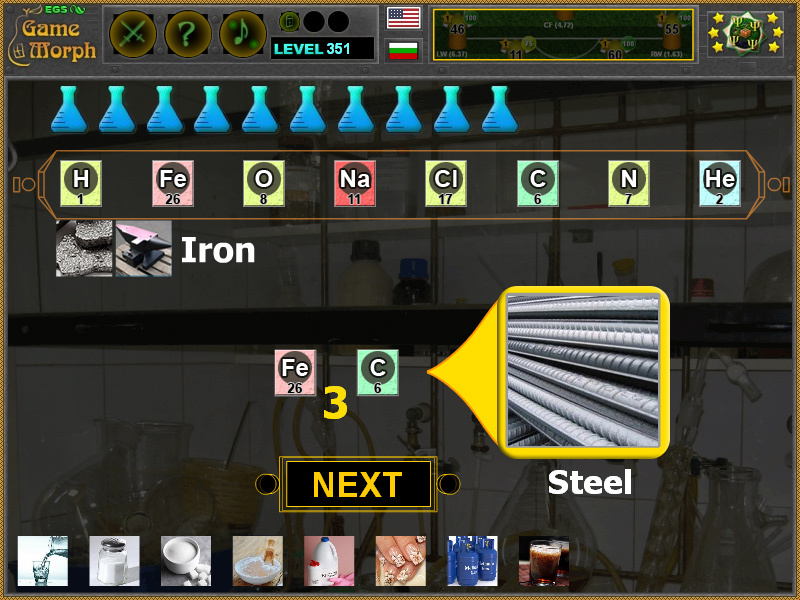 Free online learning games about chemistry. Chemistry games to study and explore the elements. More than 10 online games, related to popular chemistry subjects, that may be used for fun, interactive education and examination. 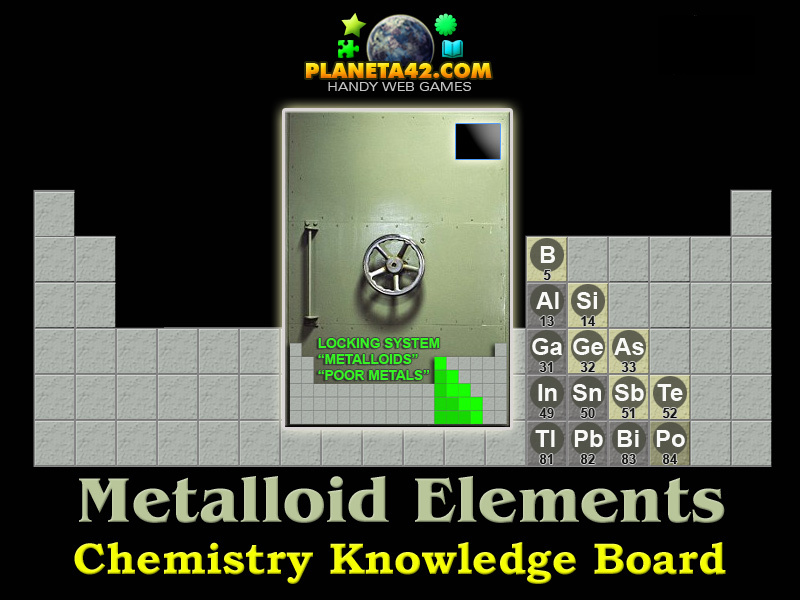 The chemistry knowledge games are small flash games, up to 1 MB, which include puzzles, arcade and tile games with references about the chemical elements, compounds and structure of th elements and matter. Most types of metals, nonmetal and other chemistry groups are separated in different apps to be easier. Except the periodic table puzzle, which is very hard. Fun chemistry learning games suitable for online lessons and interactive classes. Minute to win it games. Chemical Compounds Quiz - Select the correct name of the chemical compound. Chemistry Tree - Sort the chemistry science branches on the tree of knowledge. 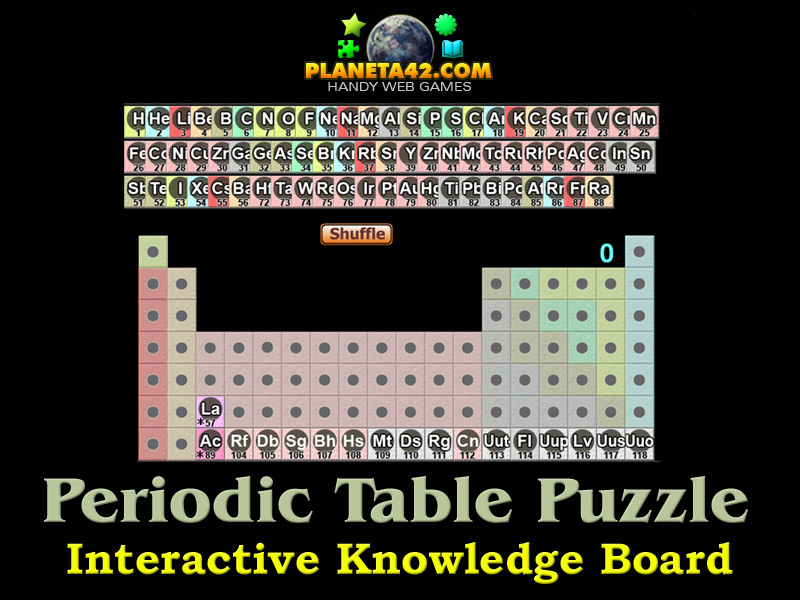 Periodic Table Puzzle - Sort the elements in their positions in the periodic system. Atom Structure Puzzle - Assemble the parts of the atom. 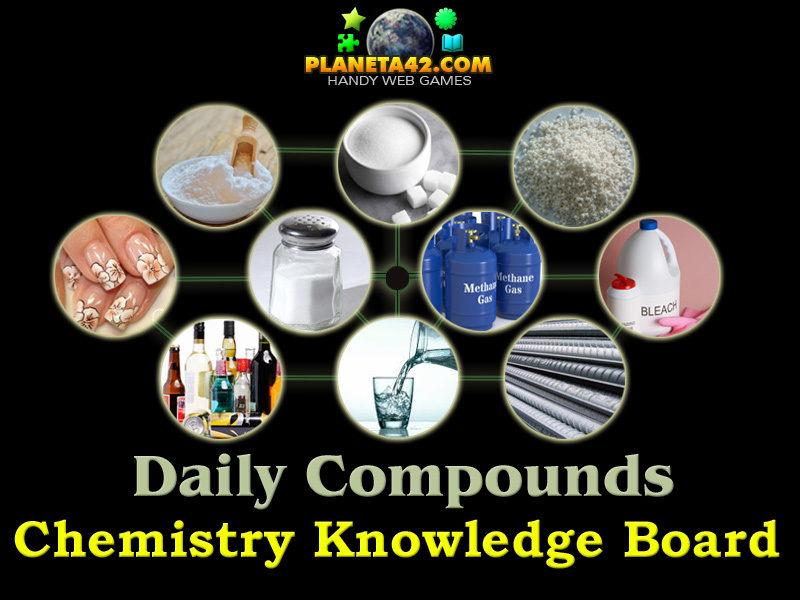 Daily Used Chemicals - Interactive formula of chemicals used in daily life. Precious Metals Hunt - Move with arrow keys and collect the noble metal pieces. 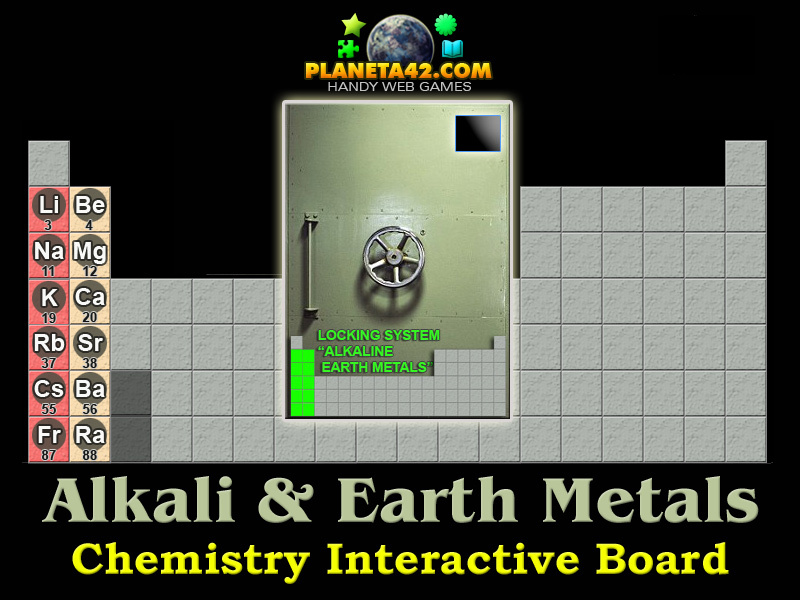 Alkali Metals Lock - Roll the Alkali group elements position to unlock the secret door. 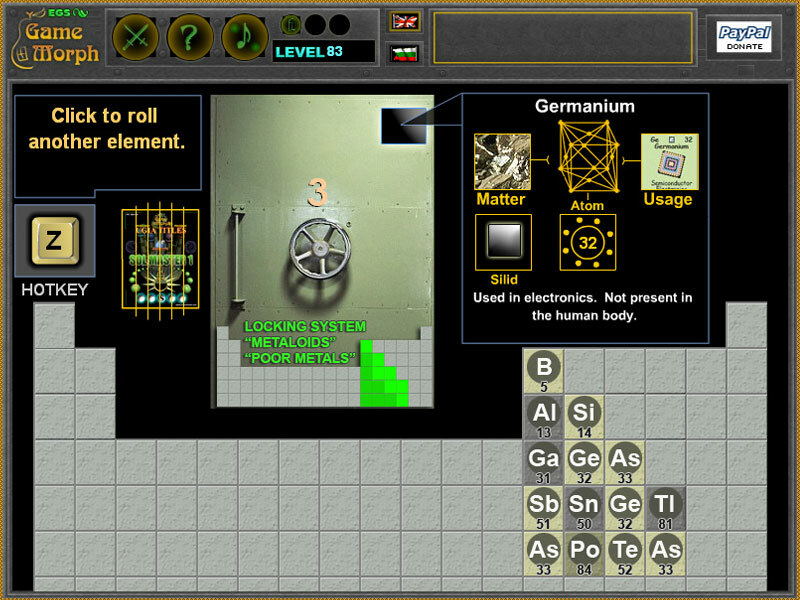 Lanthanides Lock - Roll the Lanthanide group elements position to unlock the secret door. Transition Metals Lock - Roll the Transition metal elements position to unlock the secret door. 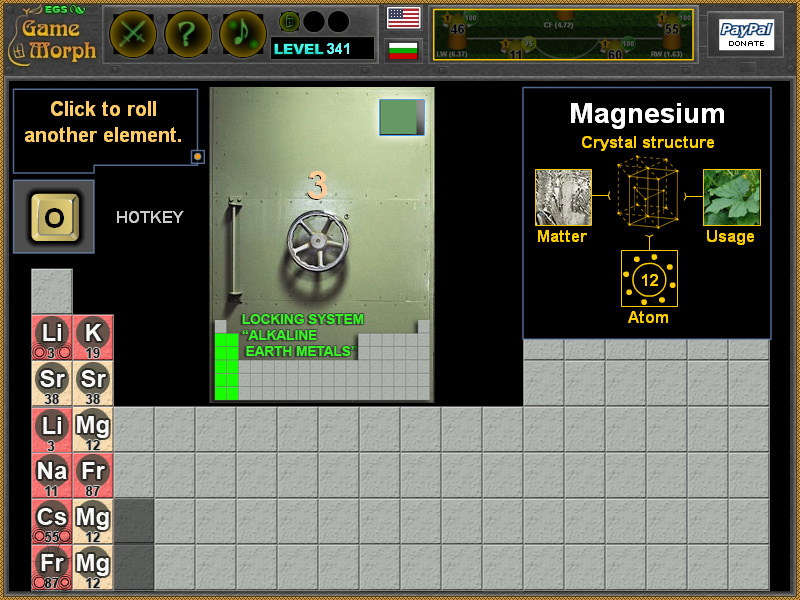 Metalloids Lock - Roll the Metalloid group elements position to unlock the secret door. 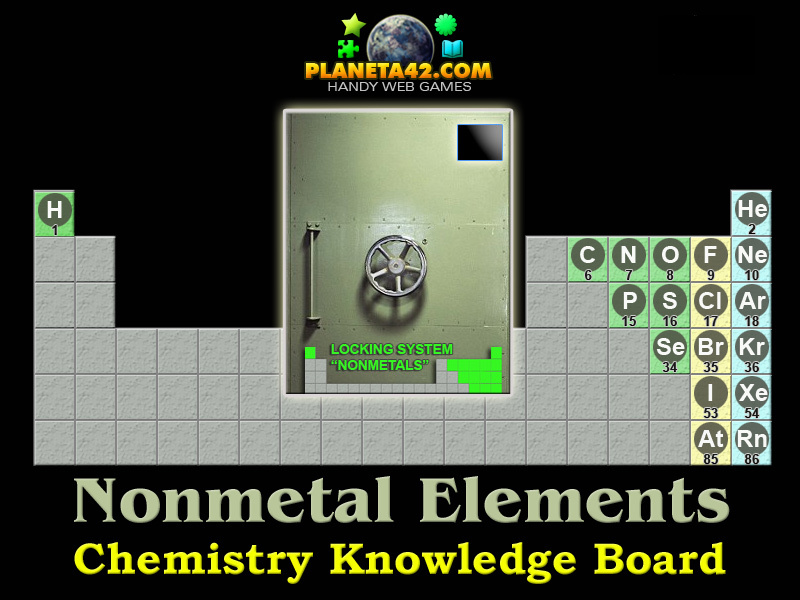 Nonmetals Lock - Roll the Nonmetal group elements position to unlock the secret door. States of Matter Puzzle - Sort the four states of matter of the water H2O according to the temperature. "P42 Chemistry Campus" is a free online education web site with short chemistry games, tests and puzzles played online in the web browser and including useful knowledge and exercises about chemistry science. 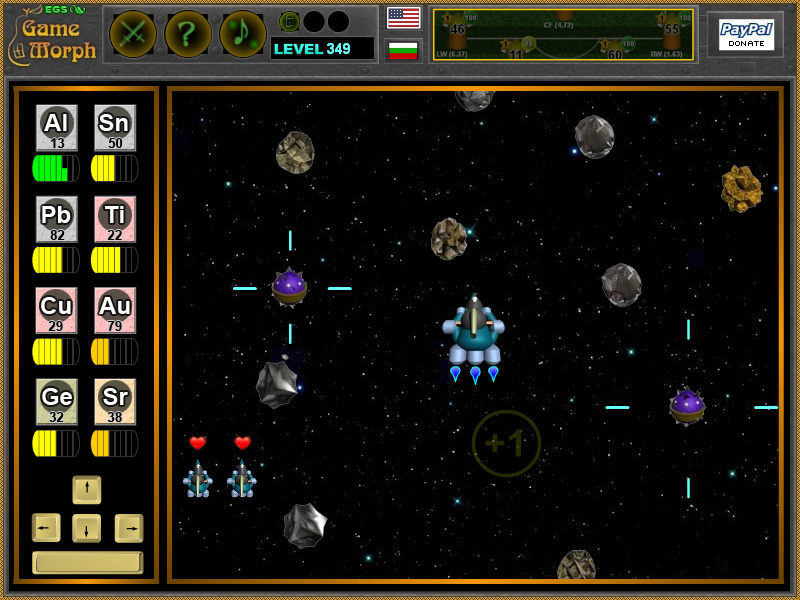 Every lesson is a small game and all games are free and runs on medium class computers, tablet and laptops, with installed flash player. The collectible chemistry games (download versions), go with built in player, but the levels are not saved on the website. 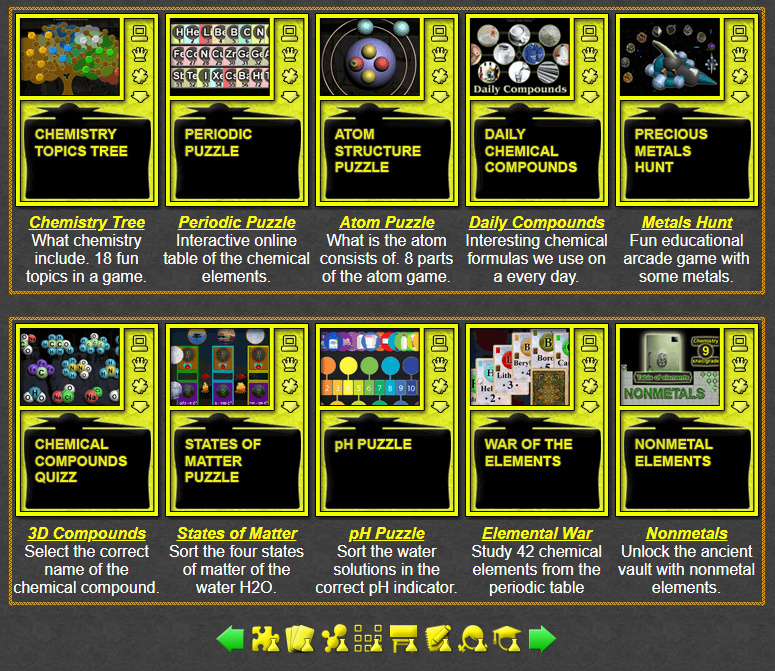 Like all Planeta 42 knowledge level games, when completed, the chemistry games reward +1 Knowledge Level. 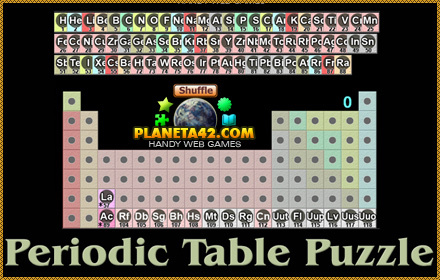 Free online games, test, puzzles and quizzes to study popular chemistry subjects online in the web browser. Interactive chemistry apps. Educational Multimedia Chemistrt for kids and students. 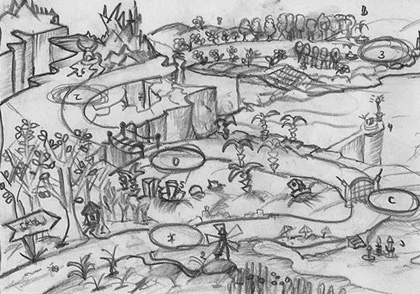 Free to play and download without registration. Fun chemistry games with popular chemistry subjects. The Interactive Chemical Studies may be used for education, examination, references and recreation. Chemistry Puzzles - This collection includes various chemistry games to drag and drop pictures and sort chemical knowledge in correct places. Periodic Table Games - This collection include all chemistry learning games about the periodic table of the elements and the element groups. Chemistry Classroom Games - This collection include fun chemistry games suitable for interactive lesson and classroom exercises. Chemistry Games for Kids - This collection include chemistry educational games suitable for kids and pupils in 4-8 grade. Interactive Chemistry for Kids. Chemistry Games for Students - This collection include all chemistry educational games for 9 grade and above, suitable for students and adults. Interactive Chemistry for Students. The Interactive Chemical Studies website includes: fun chemistry games, chemistry classroom games, chemistry games ideas, chemistry board games, chemistry games mixing chemicals, chemistry games app, chemistry games unblocked, chemical reaction games, chemistry online games, interactive chemistry worksheets, periodic table games and more than 10 online games, related to different chemistry subjects, that may be used for fun, interactive education and examination. 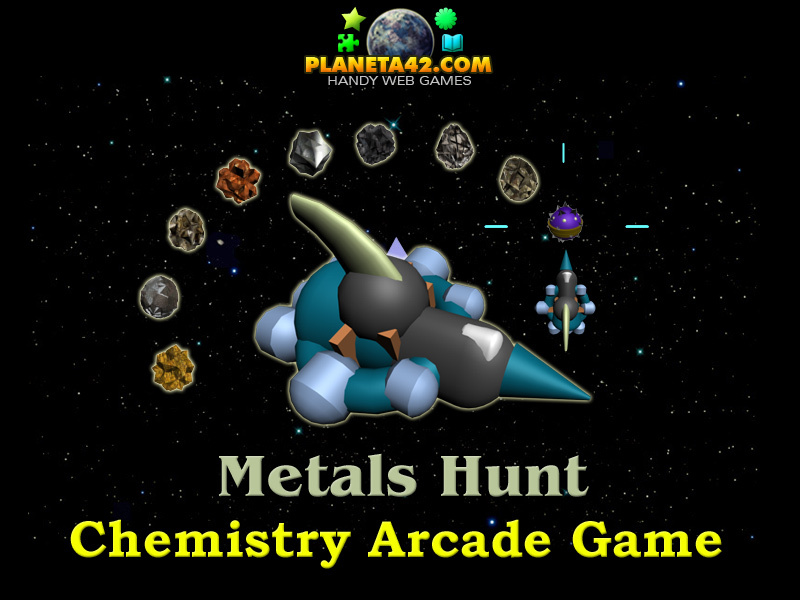 Here is the blog with the Exciting Collection of Chemistry Games.